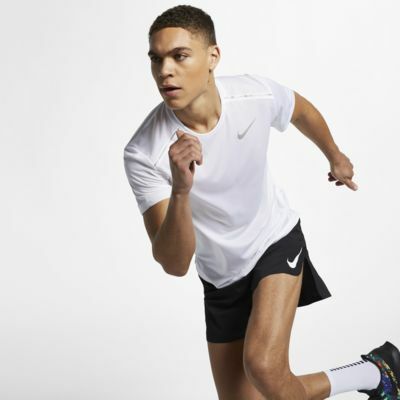 The Nike Dri-FIT Miler Top cools your stride with impossibly lightweight mesh fabric. Sweat-wicking technology helps keep you dry from mile 1 to done. Allover mesh feels incredibly lightweight. Side vents let you move freely. Nike Dri-FIT technology moves sweat from your skin for quicker evaporation—helping you stay dry, comfortable and focused. Dropped back hem helps keep you covered as you move. Have your say. Be the first to review the Nike Dri-FIT Miler.